If target has high* Defenses, Yaphael floats toward the target and strikes it for 1 hit of 100% Evil damage; applies 'Honed' (+100 Crit) and 'Sharpened' (+100 Bonus) to itself for 5 turns. 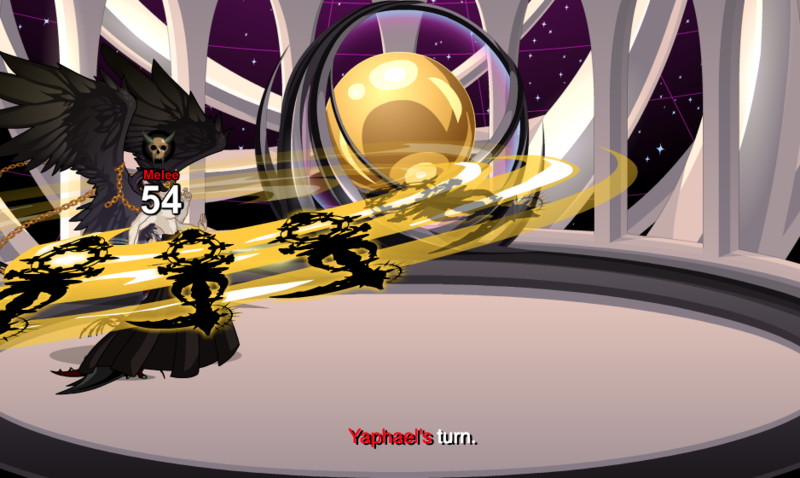 Attack Type 2 - Yaphael summons Infernal blades, striking its target for 5 hits of 50% Evil damage; applies 'Pierced' (+25 Health, -25 All) to target for 4 turns. 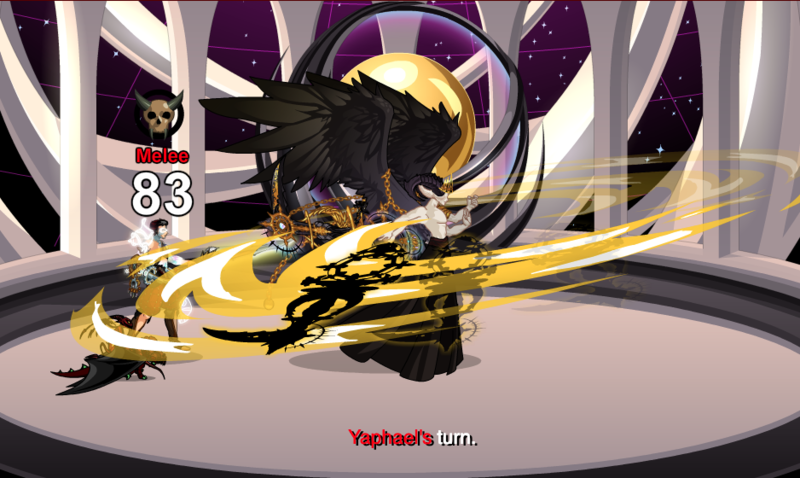 Attack Type 3 - Yaphael summons Infernal blades, striking its target for 5 hits of 50% Weakness seeking Fear damage. 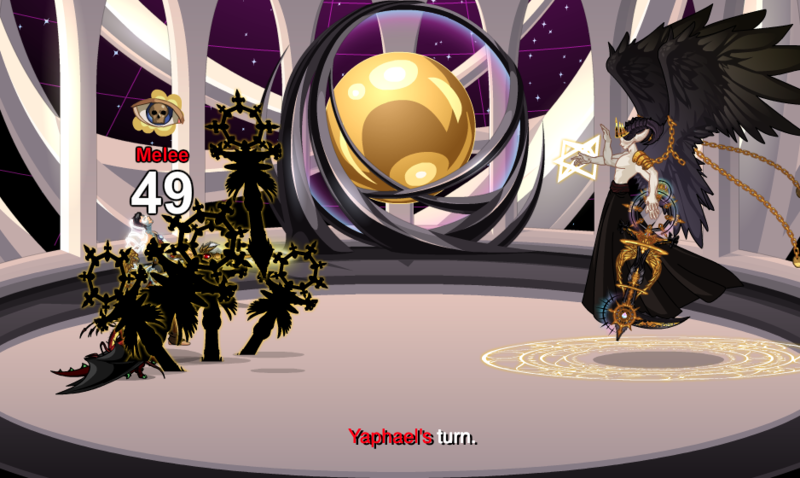 If target had low* Defenses during Attack Type 1, but now has high* Defenses, Yaphael floats toward the target and strikes it for 1 hit of 100% Evil damage; applies 'Honed' (+100 Crit) and 'Sharpened' (+100 Bonus) to itself for 5 turns. 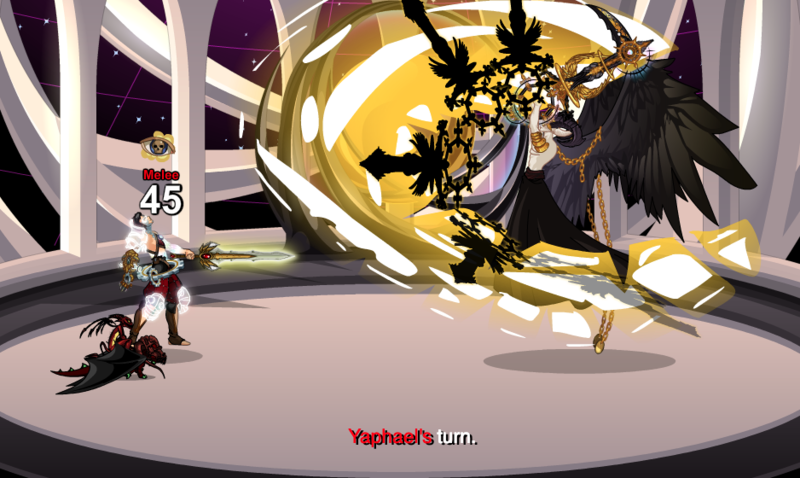 If target had low* Defenses during Attack Type 1, and still has low* Defenses, Yaphael strikes you back and forth, then blasts you with Infernal magic for 4 hits of 115% Weakness seeking Fear damage. 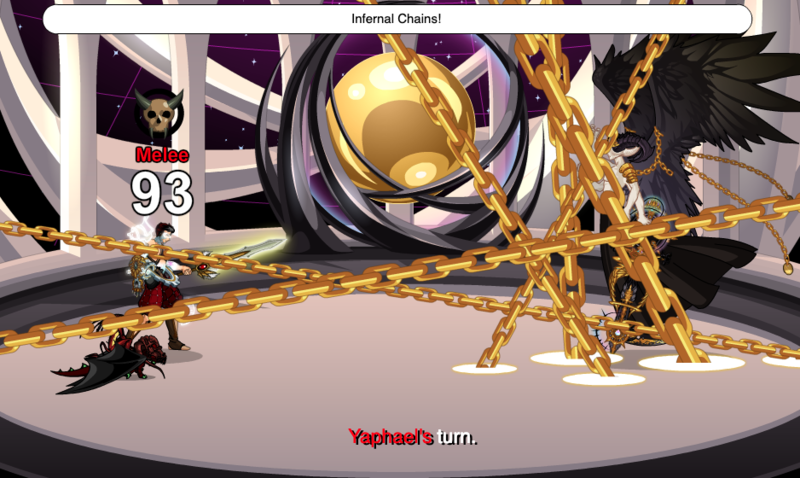 Attack Type 5 - Yaphael strikes you back and forth, then blasts you with Infernal magic for 4 hits of 115% Evil damage. Attack Type 6 - Yaphael strikes you back and forth, then blasts you with Infernal magic for 4 hits of 115% Weakness seeking Fear damage. Yaphael follows the skill rotation; Attack Type 1 / 1.1 -> Attack Type 2 -> Attack Type 3 -> Attack Type 4 / 4.1 / 4.2 -> Attack Type 5 -> Attack Type 6 -> Repeat.